Silvio Berlusconi resigned as prime minister of Italy on this day in 2011. 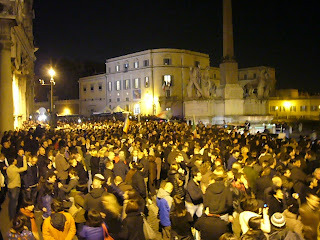 A controversial, polarising figure, he had dominated Italian politics for 17 years. With Italy in the grip of the economic crisis that had brought severe consequences to other parts of the Euro zone, Berlusconi lost his parliamentary majority a few days earlier and promised to resign when austerity measures demanded by Brussels were passed by both houses of the Italian parliament. The Senate had approved the measures the day before. When the lower house voted 380-26 in favour, Berlusconi was true to his word, meeting president Giorgio Napoletano within two hours to tender his resignation. His last journey from the Palazzo Chigi to the Palazzo Quirinale, the respective official residences of the prime minister and the president, was not a dignified one. When he arrived at the Quirinale, he was booed by a large and somewhat hostile crowd that had gathered, entering the building to shouts of 'buffoon' and 'mafioso'. A gathering of musicians and singers serenaded him with a version of the Hallelujah Chorus from Handel's Messiah. After the meeting concluded, he left by a side entrance to avoid further barracking. 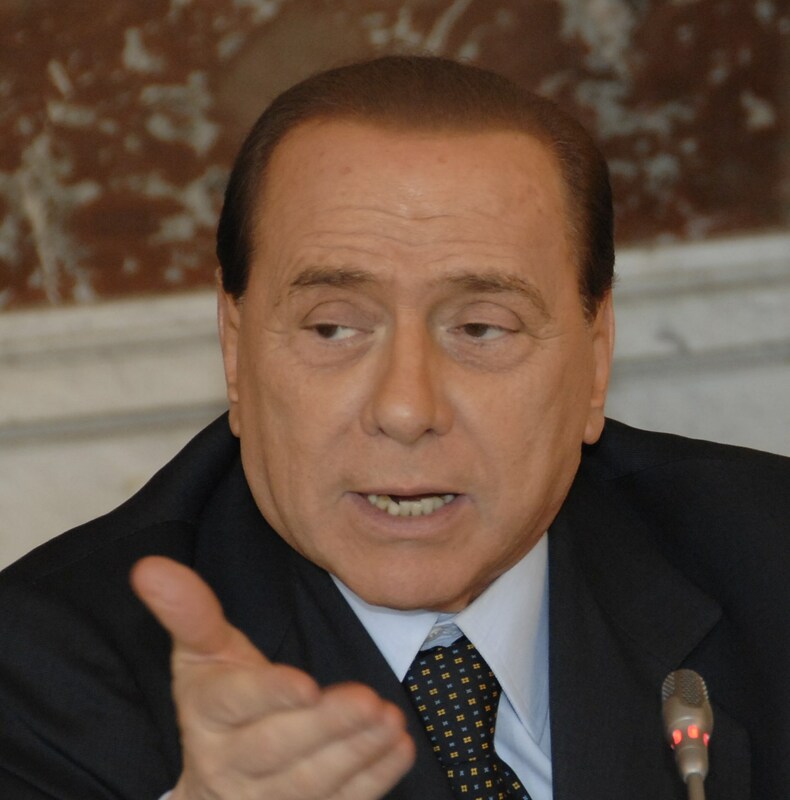 Berlusconi had until that moment held a reputation as a consummate survivor, becoming Italy's longest-serving post-war prime minister despite a litany of scandals. One of Italy's richest men, he built a fortune estimated at $9billion (€9bn) from a business empire that comprised three television channels, a major publishing house, a national newspaper, the AC Milan football club and countless smaller companies. He entered politics in In 1993, founding his own political party, Forza Italia - literally, Italy Power - named after an Italian football chant, and was prime minister within a year. As the head of a decidedly right-wing coalition with the post-Fascist Alleanza Nationale (National Alliance) and the separatist Lega Nord (Northern League), he made many Italians uncomfortable about the direction in which the country was moving. Yet many hoped his business prowess could help revitalize Italy's economy and saw him as a refreshing change from a political establishment associated with instability and corruption. The coalition was always an uneasy one, however, and the hopes of his supporters began to erode when Berlusconi was indicted for tax fraud. He lost to the left-wing Romani Prodi in the election of 1996. Berlusconi's capacity for bouncing back, though, was remarkable. By 2001 he was back in power, having rallied his former allies to defeat Prodi and held together the longest-serving Italian government since the Second World War. 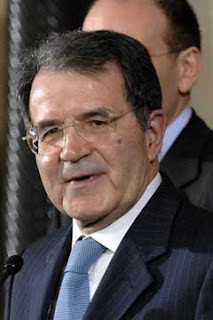 Defeated by Prodi again in 2006, he was re-elected in 2008 at the helm of a revamped party, renamed the People of Freedom. But Italy's economic crisis proved too much for him in the end. In the week of his resignation, the interest rate on Italy's enormous public debts - estimated at around $2.6 trillion - touched 7%, the rate at which Greece, Ireland and Portugal were forced to seek bailouts from the EU. Berlusconi was never far removed from scandal during his political career but his ability to brush off allegations of corruption or sexual indiscretion made him seem untouchable. Less than a year after his resignation, however, he was given a four-year sentence for tax fraud and barred from public office, a verdict upheld in Italy's supreme court a year later. Because he was over 75, he could not be jailed under Italian law and instead served four hours a week of community service, working with elderly dementia patients at a Catholic care home near Milan. The 16th-century Palazzo Chigi, which overlooks the Piazza Colonna and the Via del Corso in Rome, was in the ownership of the Chigi family, part of Roman nobility, from 1659 until the 19th century. It became the residence of the Austro-Hungarian Ambassador to Italy in 1878 before being bought by the Italian state in 1916, when it became the home of the Minister for Colonial Affairs. 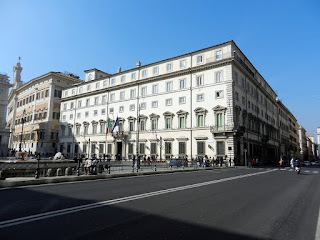 Later it was the official residence of the Italian Minister of Foreign Affairs and in 1961 became the official meeting place of Council of Ministers, whose President is the head of the Italian government and can now use the palace as his official residence. 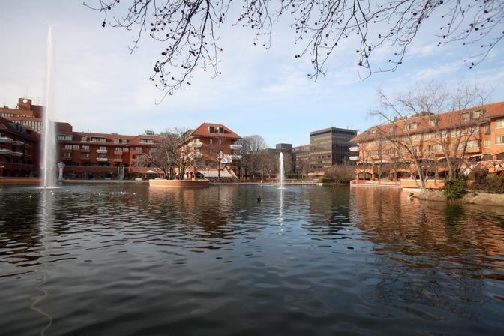 Berlusconi's business roots are in the groundbreaking 1970s new town of Milano Due, which was built by Berlusconi's company Edilnord as a residential centre close to the Segrate area of suburban Milan. Although property there is nowadays marketed with a well-heeled clientele in mind, Berlusconi conceived it as something different, providing homes for families in a safe environment, an inter-connecting system of walkways ensuring that its residents could reach any part of the community without encountering any vehicular traffic. Every house or apartment was connected to a cable television system run by another Berlusconi company, TeleMilano, Italy's first private television channel, was the project from which the tycoon would eventually grow his national TV company, Mediaset.